Buy it in Lancashire and Bring Back a Billion! Lancashire Business View has launched a major campaign to bring £1bn of business back into the county. The campaign was officially launched at the Lancashire Business Day dinner organised by the independent magazine and held at Ewood Park in Blackburn on #LancashireDay, 27 November 2018. The event featured leaders from across the county including guest speaker Andy Bounds from the financial times and a business panel including Antony Chesworth, CEO of EKM, Glyn Jones, F-35 development director at BAE Systems, Guy Topping MD of Barton Grange and Ann Jordan, chair of Benetimo. At the event, publisher Richard Slater unveiled the campaign’s official manifesto and urged companies and organisations to get behind the drive and do more business locally. He said: “It is a simple campaign. We are calling on businesses of all sizes and in all sectors to work harder to keep more money in the county – by spending a little more locally wherever possible. “We want them to pro-actively seek out opportunities to build relationships and develop local supply chains wherever possible – to work harder to do business with each other. “We are not in any way looking to stop people doing transactions across boundaries – the campaign is not about protectionism. The aim is to increase Lancashire’s GDP by £1bn – with anchor institutions and the private sector working to seek out suppliers in the county and working with them to stimulate growth. The campaign has been inspired by the nationally and internationally acclaimed ‘Preston Model’. It encourages ‘anchor institutions’ such as the University of Central Lancashire, to buy more goods and services from local firms. Since 2013, the share of the public procurement budget spent by these organisations in the city has risen from five per cent to 18 per cent – a gain of £75m. Across Lancashire it has risen from 39 per cent to 79 per cent – a gain of £200m for the county’s economy. 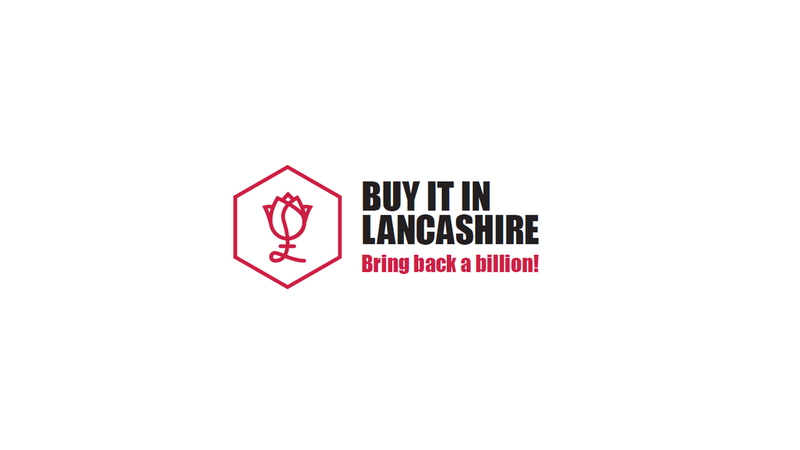 The ‘Buy It In Lancashire: Bring Back a Billion!’ campaign is based on all local businesses and organisations raising their spending on services and goods in the county. Given Lancashire’s £30bn economy, a 3.5 per cent rise would deliver a £1bn-plus boost. Richard Slater added: “We are calling on businesses and organisations to sign up to our campaign, to pledge to increase their local spending and to pro-actively encourage others to take the same approach. They will be our champions.